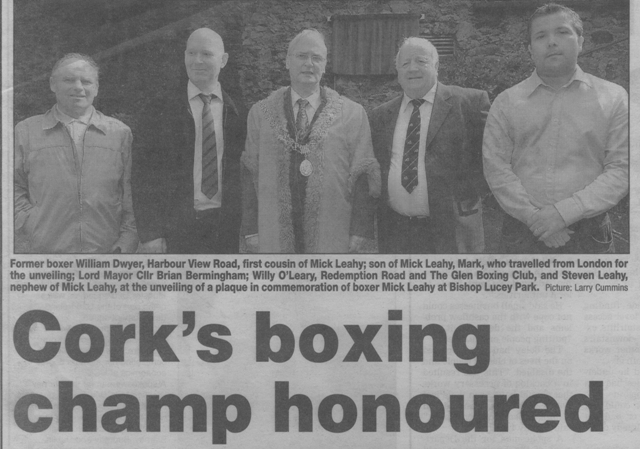 Boxer and Corkman Mick Leahy, battled his biggest foe of all – Alzheimers for many years. 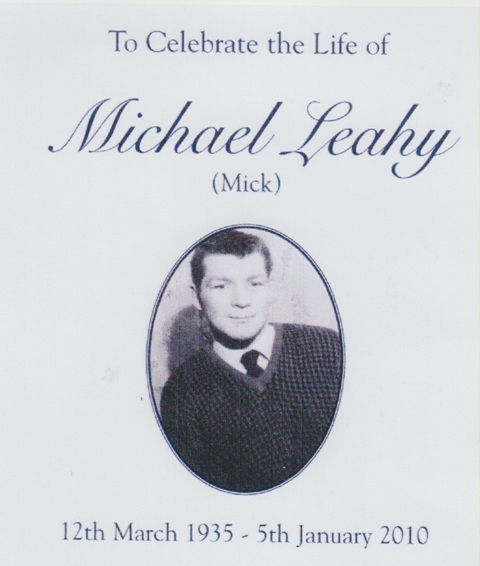 He died 2010-01-05.
and from they went to Bishop Lucey Park to place a wreath under the Mick Leahy plaque. His ambition had begun back in Ireland when he and a friend used to press their noses against the window of The Glen gym in his home town of Cork and gaze wide-eyed at the would-be professional boxers. 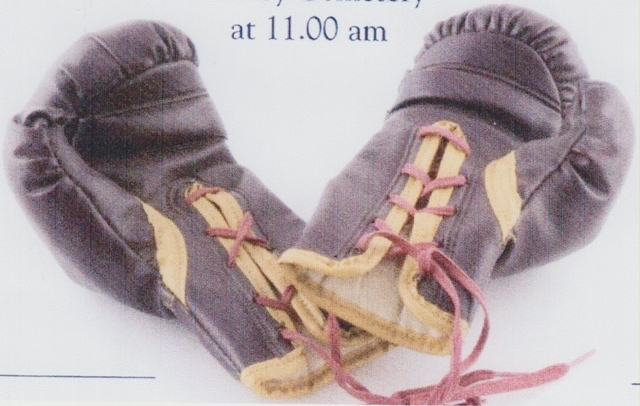 He took up the gloves and became quite an amateur champion. But it was, when he was in Coventry that his career really took off. Turning professional in 1956, training at a gym in Warwick and one closer to home in Coventry. 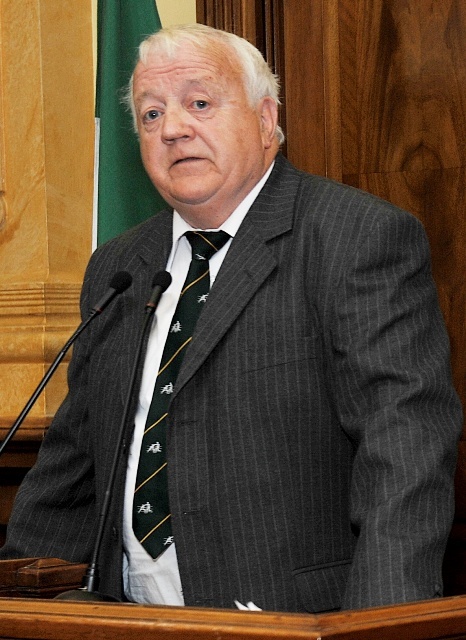 Naturalised in 1961he became the first Irish-born boxer to be a British belt-holder, taking the title in May 1963. In the time it takes to boil a kettle or brush your teeth the fiery Irishman from Tile Hill, Coventry destroyed the reigning champion George Aldridge in a fight which earned him the British Middleweight title. 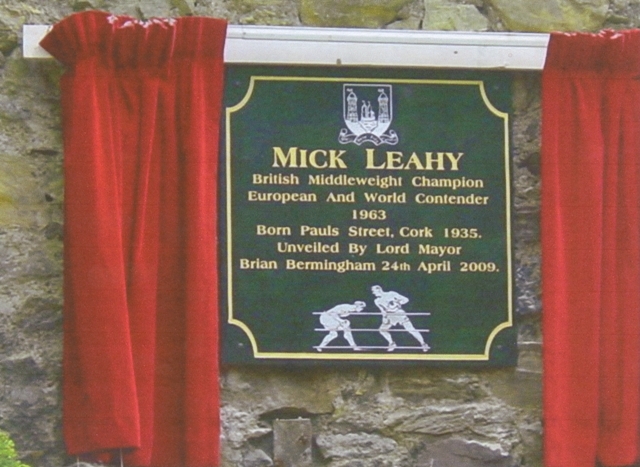 It was Mick Leahy’s greatest hour as a boxer, with the legendary Cassius Clay looking on in the crowd. Mick was a professional boxer for nine years. 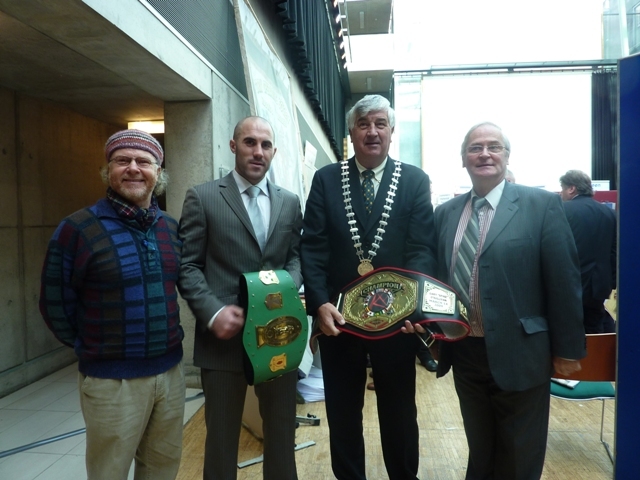 The Golden era of Cork’s Boxing Legends.